Voila! 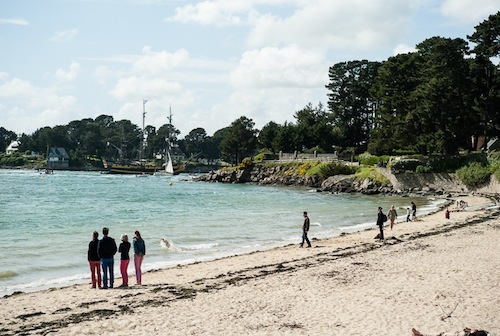 A rare slice of sunshine on the magnificent IÎe-aux-Moines, a tiny island off the coast of Brittany, nestled in the Gulf of Morbihan. Although the sunshine was as sporadic as our worries, I reread The Great Gatsby and relived Gatsbian decadence at a 5-day wedding soaked in champagne and good cheer. Enjoy a coffee and croissant on the terrace of San Francisco with its tony view overlooking the busy port. 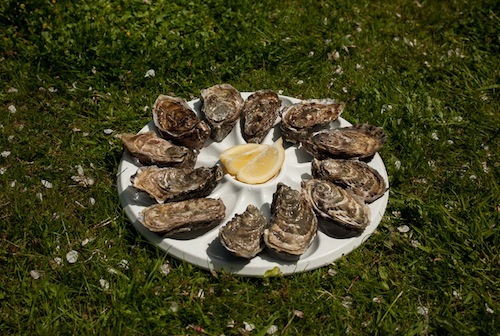 It’s always a sign of an oyster’s freshness if the person shucking it is wearing waterproof yellow overalls. Save yourself and buy a douzaine direct from the ostréiculteur at Ets MARTIN including an obligatory glass of white. Tea time! Hands down, the only place to get an authentic crepe fix on the isle is Lonely Galettes. Book at table at Le Cagou for regional slow food, the freshest fish, and an enticing prix-fixe menu. Langoustines, Saint-Pierre, and far breton (Brittany’s ubiquitous prune clafoutis) will top off a perfect day on IÎe-aux-Moines. As always, thanks to mon mari for the photos! Looks like a great trip! Your perfect day adds to all you told me last night! Thanks, Cynthia! Good to hear from you. You must try the prune clafoutis at home! Bon week-end to you! Thanks for the lovely photos which your husband took. 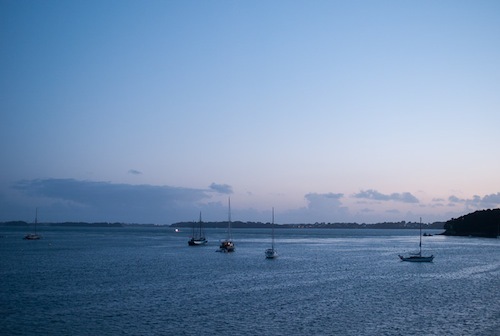 It sounds as though you throroughly enjoyed your stay on Ile-aux-Moines. The prune clafoutis must be delicious.